A Protest Rally will be held at the Oxford Union when Sri Lankan Prime Minister Ranil Wiramasinghe delivers his speech on October 8th (Monday) at 8:00 pm. The Transnational Government of Tamil Eelam (TGTE) is organizing this protest rally. 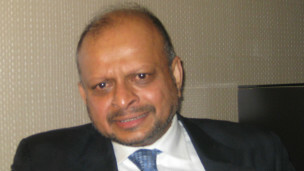 Mr. Wikramasinghe is accused of protecting war criminals, putting roadblocks on UN Human Rights Council efforts to get justice for Tamils, not releasing Tamil Political Prisoners, not giving details about thousands of Tamil’s who disappeared, keeping large number of Security forces in Tamil areas, establishing Sinhalese settlements in Tamil areas, and other anti-Tamil activities. 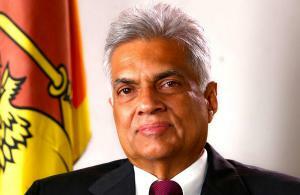 Also, when Sri Lankan Prime Minister Ranil Wickremesinghe, visited the Northern city of Jaffna for a major festival of Thai Pongal, he said in a public meeting on January 15, 2016 that: “Those who surrendered to the Sri Lankan Security forces at the end of the war in May 2009 are no longer alive”. So far, the Prime Minister is refusing to give any clarification about his statement, including who is responsible for the killings, manner in which they were killed and where the dead bodies of the disappeared are. According to UN internal Review Report on Sri Lanka around 70 thousand Tamil civilians were killed in six months in 2009 and Tamil women were sexually assaulted and raped by the Sri Lankan Security forces. UN Human Rights Council passed Resolutions on accountability for these atrocities, which Sri Lankan Prime Minister is accused of blocking.